The mysterious marvels of the natural world never cease to amaze us here at ArborPro! In particular, we find some of the more unusual facts about trees quite fascinating. Did you know that in the milder climates of the northern hemisphere, moss only grows on the north side of tree trunks due to limited exposure to the sun? Or that the largest tree in the world, The General Sherman Tree, is 275 feet tall and 36 feet wide in diameter at its base? You’ll find the Sequoia in Kings Canyon National Park in California. Another interesting discovery was the recent revelation in the case of leaning pine trees. Cook pine trees, native to the Southwest Pacific and classified during Captain Cook’s second voyage, have baffled botanists for years because of the way that their towering spires lean. The leaning pine trees all seem to be bending in the same direction; toward the equator. 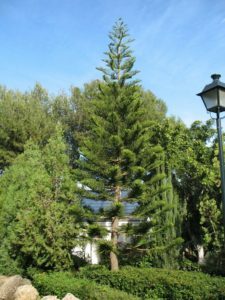 Scientists began to study the phenomenon and concluded that this species of trees, Araucaria colunaris, has a hemispheric-dependent pattern to its lean. In other words, trees in the northern hemisphere lean toward the south while trees in the southern hemisphere bend toward the north. The study consisted of observing Cook pine trees in 18 regions on 5 continents around the world. Data collected throughout their study revealed that only 9 percent of the Cook pine trees did not lean. The ones that do grow at an angle average a tilt of 8.05 degrees. Another intriguing find was that the further the trees were found growing from the equator, the more they leaned. Despite the findings, scientists could not determine the cause. Research shows it is likely due to phototropism which is when a plant grows toward its source of light. 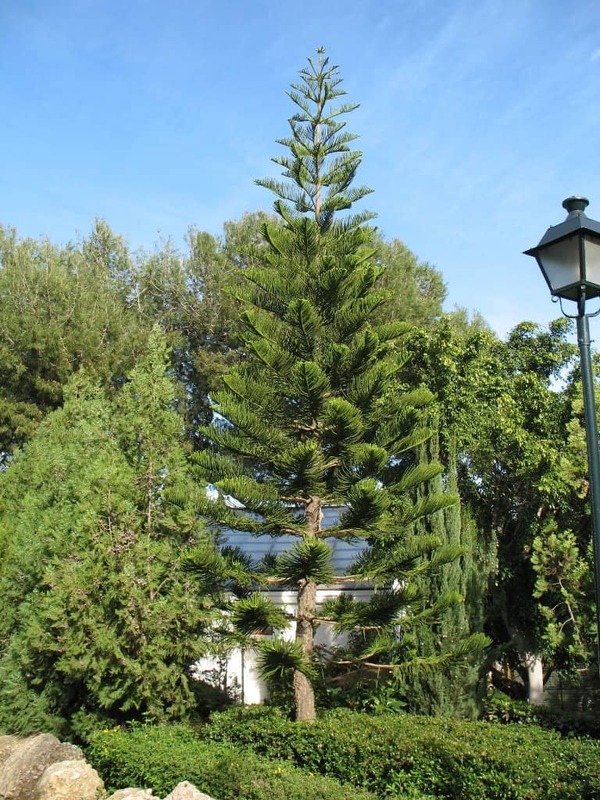 Scientists also speculate that leaning pine trees could be caused by a genetic characteristic. It could be a gene that makes them prone to grow in accordance with the direction of sunlight. Further studies are anticipated. Scientists will see if they can produce any solid evidence as to the cause of leaning pine trees. If you’re intrigued, read more in this Science Alert article. In the meantime, much like Cook pine trees, we’ll bask in the sun and ponder the perplexity of nature. Want to learn more about leaning pine trees? Or, want help identifying a Cook Pine? Give ArborPro Tree Experts a call. Our team of arborists specializes in all things tree-related including tree care services such as pruning and mulching, tree removal, and emergency 24-hour response for the removal of hazard trees.